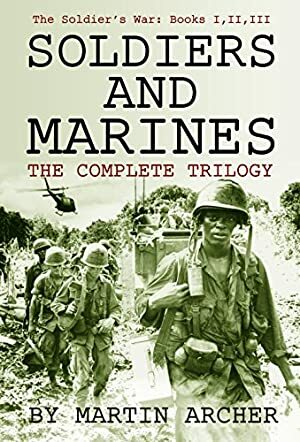 This is a trilogy of Martin Archer's first three novels about the hardships and the exciting and continuous action adventures of a young combat soldier when he stays on active duty and rises in rank and recognition. War in the East and Israel's Next War are the fourth and fifth books in the series. Track It. This book has been £2.99 within the past year. We started tracking this book on September 7, 2015. This book was £4.95 when we started tracking it. The price of this book has changed 17 times in the past 1,326 days. The current price of this book is £6.99 last checked one day ago. This lowest price this book has been offered at in the past year is £2.99. The lowest price to date was £2.99 last reached on February 11, 2019. This book has been £2.99 7 times since we started tracking it. The highest price to date was £6.99 last reached on February 18, 2019. This book has been £6.99 6 times since we started tracking it. We last verified the price of this book about one day ago. At that time, the price was £6.99. This price is subject to change. The price displayed on the Amazon.co.uk website at the time of purchase is the price you will pay for this book. Please confirm the price before making any purchases.